Humpty dumpty card, Rude kids cards, Silly Children's cards, Toddler rude words card, funny kids card. funny birthday card. 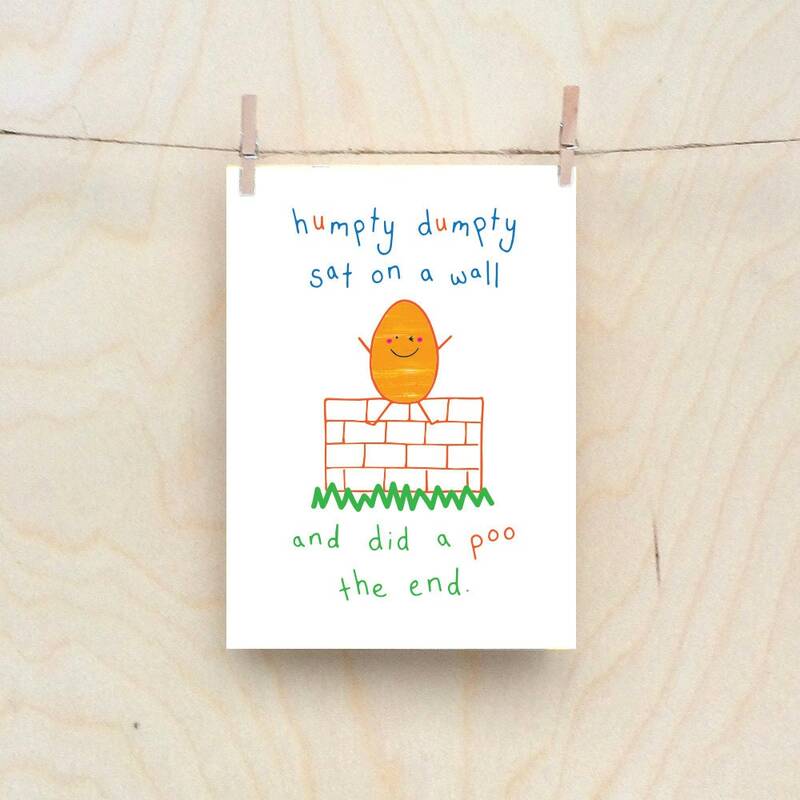 Humpty dumpty sat on the wall and did a poo.